Editor’s note. Last night Sen. Ben Sasse (R-Neb.) asked the Senate for unanimous consent to pass the Born-Alive Abortion Survivors Protection Act. If enacted, the bill would extend federal legal protection to babies who are born alive during an abortion. However, Senate Democrats, led by Patty Murray (D-WA), objected, stalling the bill for the time being. 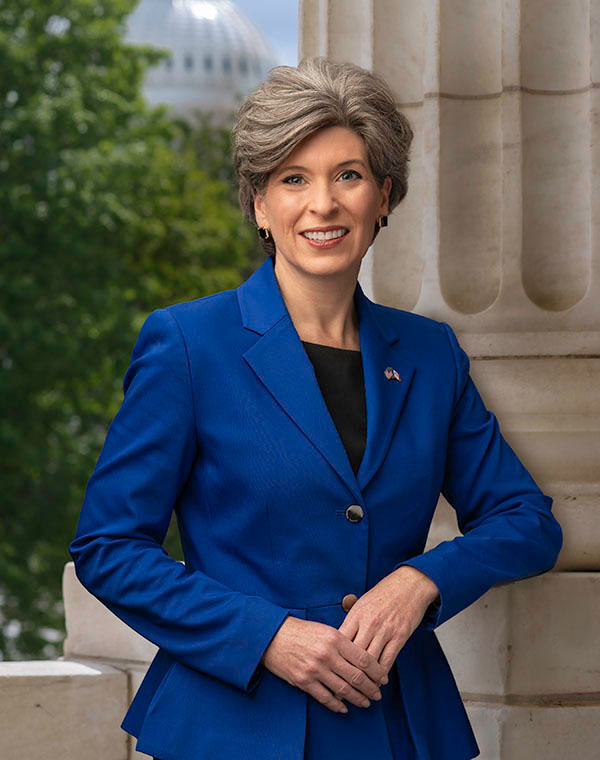 The following are the remarks delivered on the floor by Sen. Joni Ernst (R-Iowa). Along with other pro-life Republican senators, she spoke in favor of the bill. We will be posting many of these remarks in the days to come, including Sen. Josh Hawley’s today. Mr. President, I rise today very, very disheartened, and I do want to thank the junior Senator from Nebraska [Ben. Sasse] for having this very difficult discussion on the floor of the Senate. As my colleague from Nebraska was speaking, I felt a tightness in my chest. I am a mom. I have been through childbirth, and I can’t imagine anyone taking my child, setting her aside, and then having a discussion on whether she should live or die. I can’t imagine that. I can’t imagine, after having such a precious thing as a child brought into the world, having these odious discussions of whether she should live. I can’t imagine putting a baby through that. So I am disheartened and I am absolutely appalled by the debate we have in front of us—a debate I would have once considered unfathomable on the floor of the U.S. Senate. Many have often referred to this as the world’s greatest deliberative body, but let me be clear, folks. There is nothing great, there is nothing moral or even humane about the discussion we have before us today. Over the past week, we have witnessed the absolutely ugly truth about the far-reaching grasp of the abortion industry and its increasingly radicalized political agenda. Politicians have not only defended aborting a child while a woman is in labor but have gone so far as to support the termination of a child after his or her birth—a child—a baby. Rationality, decency, and basic human compassion have fallen by the wayside. Somehow this conversation has devolved so completely that a bill prohibiting the murder of children who are born alive—a bill that simply prohibits infanticide—has tonight been blocked on the floor of the Senate. We have moved beyond all common sense, and this body can no longer unanimously condemn murder. We face a moral crisis when this body refuses to acknowledge the repugnancy and savagery of infanticide. This assault on human dignity cannot stand. I urge my colleagues to set aside their partisanship and, instead, defend the most basic values of compassion and decency that should define our society. We can and we must do better, folks. Again, I thank the junior Senator from the great State of Nebraska for his leadership on this issue, and I call on my colleagues to bring this commonsense legislation to the Senate floor for a vote. Legislative update from the Virginia Society for Human Life!